Gantt Charts in Agile and Kanban: Legacy of the industrial past or an essential part of today’s project management toolbox? Are Gantt charts still relevant? It’s around 100 years since US engineer Henry Gantt gave the world the project management chart that bears his name. But are they really necessary and what did we do before? How were the major infrastructure projects of older times planned and managed? Industrialization and the development of transportation took hold in the UK before many other nations. The results of many of the projects of the Victorian Britain survive today. The Manchester Ship Canal and Tower Bridge in London are just two examples; the master of British Victorian engineering, Isambard Kingdom Brunel achieved an extraordinary amount in what was a relatively short life, before the invention of the Gantt chart. On the other side of the Atlantic, US settlers migrated East to West following in the wake of the expansion of the railroad. If we go back further, the outstanding achievements of the Mediterranean civilizations in building the pyramids at Giza, the Acropolis of Athens and the Colosseum in Rome, have stood for thousands of years and are incredible examples of project management, all achieved without Gantt charts. Do Gantt charts matter when it comes to Agile and Kanban workflows? Today, the sphere of project management has expanded to take in virtually every area of organized labor. As the vast majority of this is not related to major infrastructure, we might question whether Gantt charts still matter. There is a significant difference between software and infrastructure. So, are Gantt charts any good to us when we are talking about software development projects where Agile and Kanban processes are in play? The project board approach of Breeze allows you to see at a glance where a project is at any given time – the column views of ‘Ideas’, ‘To do’, ‘Doing’ and ‘Done’ is almost like a dashboard of KPIs that let you know where you are. This might be all that is required where the project scope and resources are of limited scale. However, with increasing scale and complexity, or with the desire for a more formal approach to enable better and more efficient management processes, there is a clear requirement for a more detailed view in the form of the Gantt chart. Essentially, Agile/Kanban is great for doing the actual work, but when it comes to providing higher level overviews for management and planning it really is time to reach for a Gantt tool. 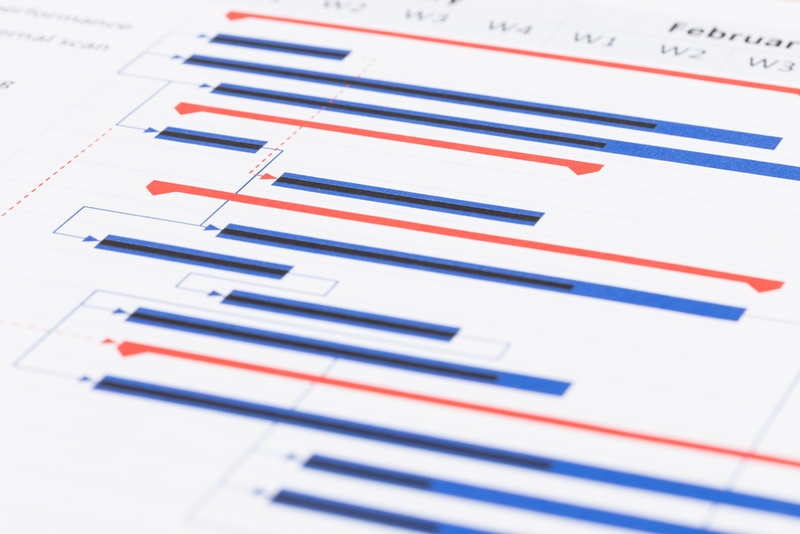 Gantt charts are the best way of getting the high-level overview that is needed for project planning. When it comes to demonstrating to business leaders where things are, Gantts really are the most appropriate form of management reporting to show your boss. The key reason why Gantt charts are still highly relevant to project management in the age of Agile/Kanban is because they allow you to keep track of all other activities and project elements that might not fit on, or that it is not essential to include on your project Kanban board. In an Agile software environment, details such as support arrangements, and the processes around contracts and Service Level Agreements may not be relevant to the main Kanban board – the ‘To do’, ‘Doing’ and ‘Done’ - view of the project. But they are details that you do need to get a hold of, and the Gantt is perfect for this. Turning project boards into Gantt charts with Breeze and Ganttile is quick, easy and free! When you need the extra level of detail, it’s easy to turn your Breeze project board task list milestones into a Gantt chart. We plug in Ganttile as a free add-on to your paid Breeze subscription. Ganttile shows all your projects in Gantt charts and imports the data that has already been entered directly from Breeze. You don't need to import or define anything at all. Every bit of your project information is already there. One of the main design concepts behind Breeze is that we keep it simple for people who don’t need to see the high-level and the detail. Breeze project boards keep everything organized and avoid overcomplicated views so those folks can see where they are at a glance. When you need to see more and go deeper to see the detail that lets you perform higher level processes for project planning and management, Breeze provides you with the added sophistication of Gantt charts for more serious project management.